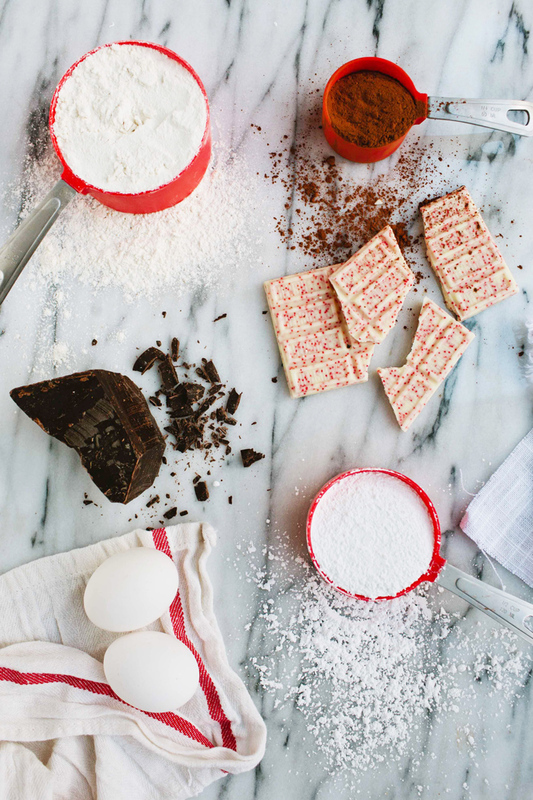 Here is a direct link to these Peppermint Chocolate Crackle cookies recipe that I made last week. These are extremely festive for Christmas and look extra fun on any goodie plate! You can find the full recipe and instructions over on Say Yes To Hoboken. I think I will eat the rest of these cookies as ice cream sandwiches tonight, I'll be adding peppermint ice cream to them...mmmmm. Girl, your photography skills are out of this world. I always get so excited when you post! 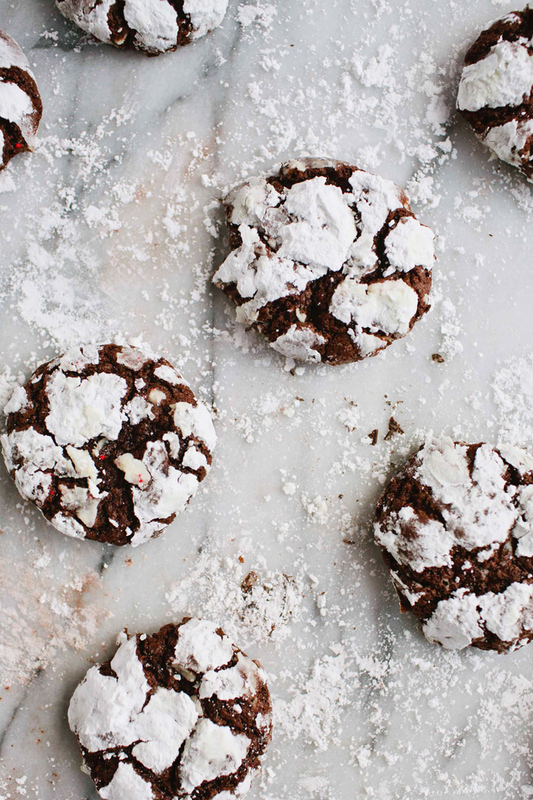 And these cookies look divine :) I'm always down for a chocolate/peppermint combo. my mom has a recipe like this, however hers is sans peppermint extract. i love the idea of making it minty - perfect for christmas! These are GORGEOUS, Brittany. 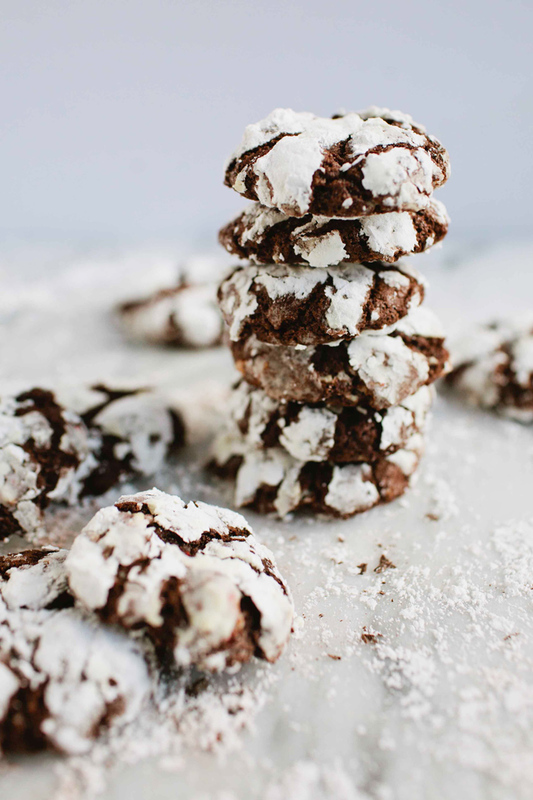 My family always makes Chocolate Crinkles for Christmas, and I love the idea of adding some peppermint to the traditional cookie! Definitely kicks it up a notch!